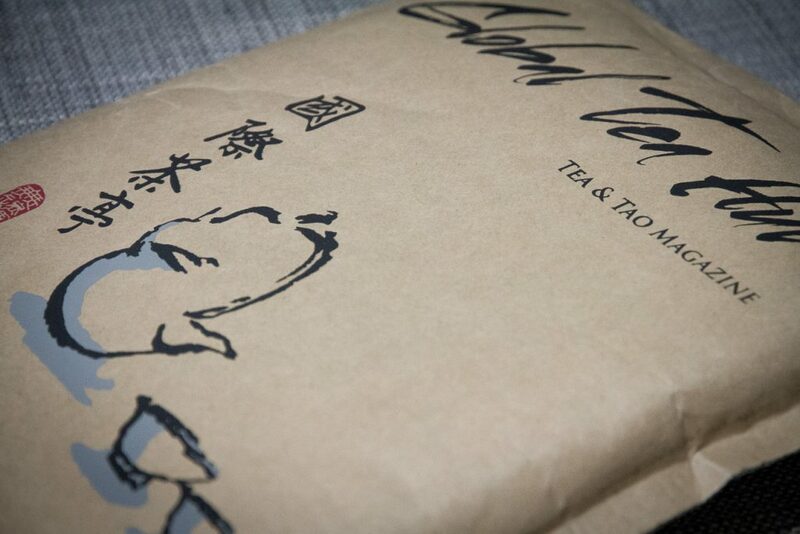 Ruby Red 18 was the first tea sample that I received as a part of my subscription to Global Tea Hut‘s monthly Tea and Tao Magazine. Read more about my visit to Global Tea Hut and my full guide to Miaoli, where the international organization is based. 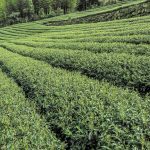 When I first started writing about the amazing tea in Taiwan, I hadn’t yet tried Ruby Red, Taiwan’s reputed black tea from Sun Moon Lake, and I focused solely on wulongs (oolongs), which dominate production in Taiwan. After somebody pointed out my omission, I admit that I still didn’t really have high expectations for Ruby Red. All of this changed the moment I had my first sip. The taste of Ruby Red is like nothing I’ve experienced in a tea before. So far, this is the first time that I have fallen in love with a tea the moment I tried it. Other fine Taiwanese teas, such as Oriental Beauty and Dong Ding, grew on me after a few sessions. The ability to identify flavors in tea (or beer, or wine) is an acquired skill, and one that I am still working on. In the past, I thought it must be somewhat psychological. For example, when I drink red wine, a drink I rarely consume, no matter which kind I try, it just tastes like…red wine. Cheaper ones taste grosser to me, and more expensive ones are smoother. After I read the labels, purporting things like “notes of figs and dried cherries accentuated with vanilla,” it’s a bit of a stretch, but I can actually pick up those flavors if I really try mentally. But it is proven that over time a person can really fine-tune his or her ability to detect and name the subtlest of aromas and flavors. For example, France’s “noses”, professional scent experts who work in the perfume industry, are able to isolate thousands of smells, and this ability is the result of a lifetime spent sniffing things. And so as an amateur tea drinker, for the sake of practice I usually try to avoid reading descriptions of teas before I taste them, so that I can make my own observations before being told what I am supposed to taste in or feel from this tea. 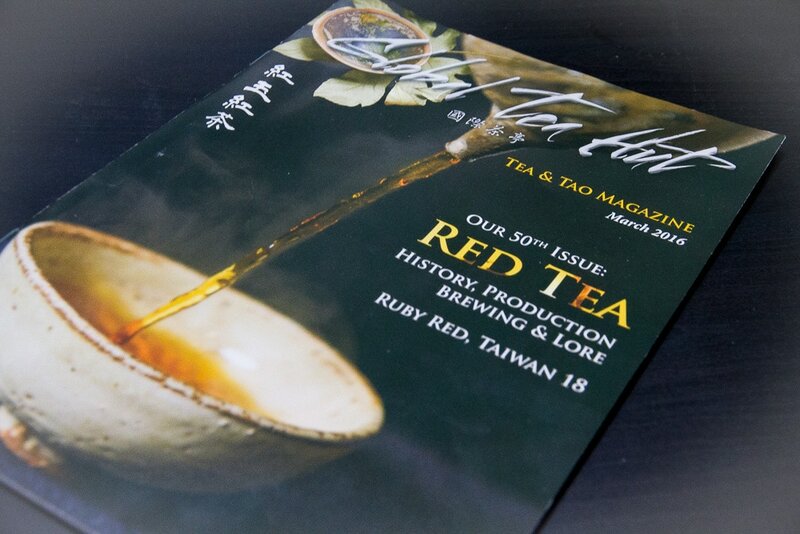 My first monthly package from Global Tea Hut, which included a small tin of Ruby Red #18 and the March edition of the Tea and Tao Magazine. Camellia sinensis plants were first brought to Taiwan from the Wuyi mountains in Fujian, the ancestral homeland of the majority of Taiwan’s non-aboriginal population. 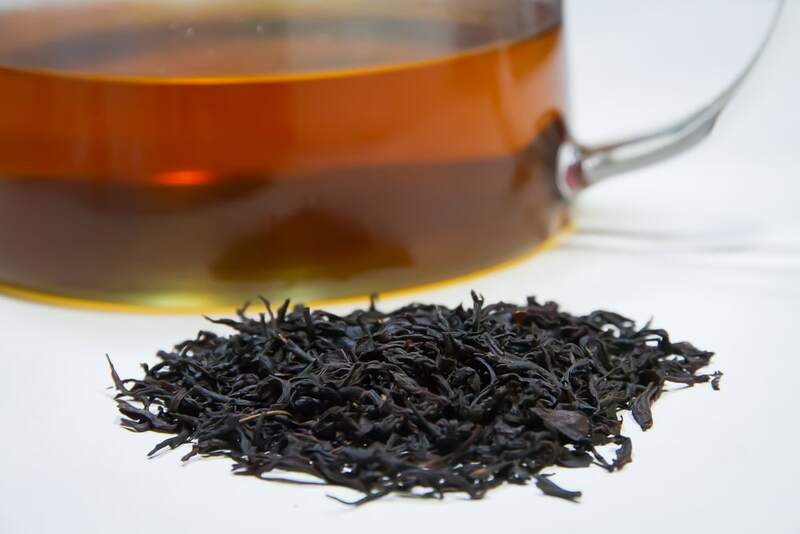 By the 1860s, Formosa Oolong had gained a solid reputation in England and the US, and by the end of the century, it was Taiwan’s #1 export. When the Japanese occupied Taiwan in 1895, they shifted the focus to black teas so they wouldn’t have to be reliant on British exports. In 1917, they introduced camellia assamica, and found that Sun Moon Lake in Nantou offered ideal growing conditions similar to those in Assam. The Japanese also established the Tea Research Institute (now called the Tea Research and Extension Station), which was responsible for developing Ruby Red #18. 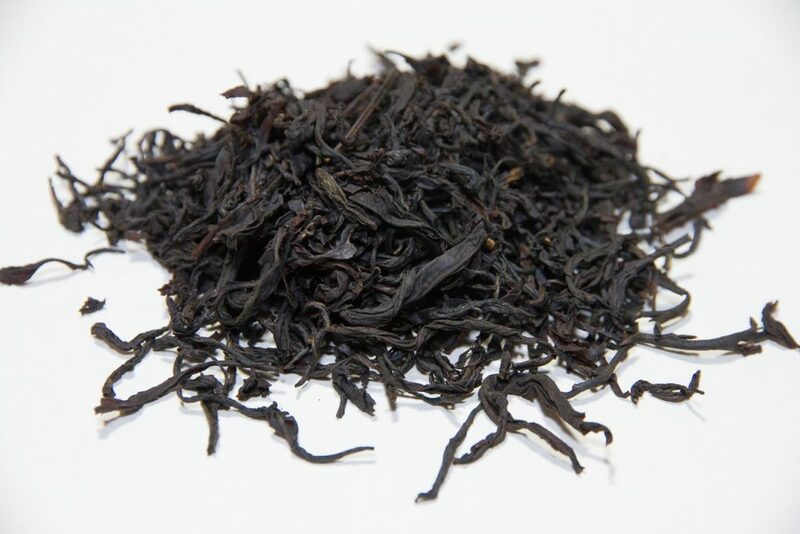 Even though production shifted almost entirely back to oolongs after the Japanese left, the Tea Research Station is perhaps most well known for having developed Ruby Red. It is said that Ruby Red has been 50 years in the making, with researchers experimenting with crops year after year until they got it just right. It is a cross of native camellia formosensis and camellia assamica imported from Burma. While most cultivars are developed for the purpose of pest control and increasing yields, Ruby Red was developed solely due to its unique taste. It is actually labor intensive to produce and has low yields, and demand for it exceeds production. Originally it was the tea had the experiment number 40-58, and when the system nomenclature was revised, it became #18, hence the name TTES (Taiwan Tea Experiment Station) #18, but was renamed Ruby Red, or Ruby Red #18, in a public vote in 2003. 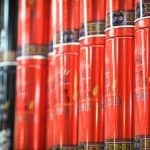 When I first opened the round tin of Ruby Red from my Global Tea Hut monthly package, nothing seemed too special about it in terms of appearance. The thin, black, withered leaves looked like any other red tea, save for the fact that some pieces seem slightly larger than a typical red. 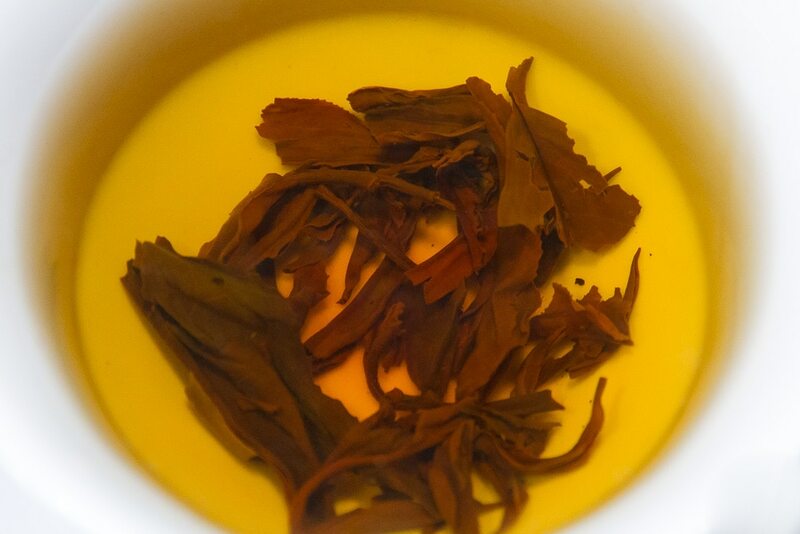 The tea steeped golden amber, perhaps a shade lighter than other reds I’ve tried, and had a spiced prune aroma. The first flavor that hit my palate was that of cinnamon stick. After I swallowed, my mouth was filled with a minty sensation; I don’t mean the menthol sting that you might associate with peppermint chewing gum or toothpaste, but the calming, refreshing mintyness of fresh mint on your fingers when you press their leaves or boil them in water. Tea and Tao describes the taste as evergreen, but to be honest, I don’t know what evergreen is supposed to taste like, since I thought it was a large group of plants. The mint then faded to a sweet, prune-like finish, followed by a lingering pure malt aftertaste, like that of an all-malt beer minus the alcohol, of course. Interestingly, when I tried the tea another time but using a different brewing method, I found the order of the flavors as they hit my palate kind of jumbled. The cinnamon and mint hit at the same time after swallowing, reminding me of minty cinnamon chewing gum. And on yet another tasting, the combination of sweetness and mint triggered childhood memories of bright pink Dubble Bubble chewing gum, the kind that came with little comics stuffed inside. The tea is mellower and more calming than I’ve come to expect of a red. 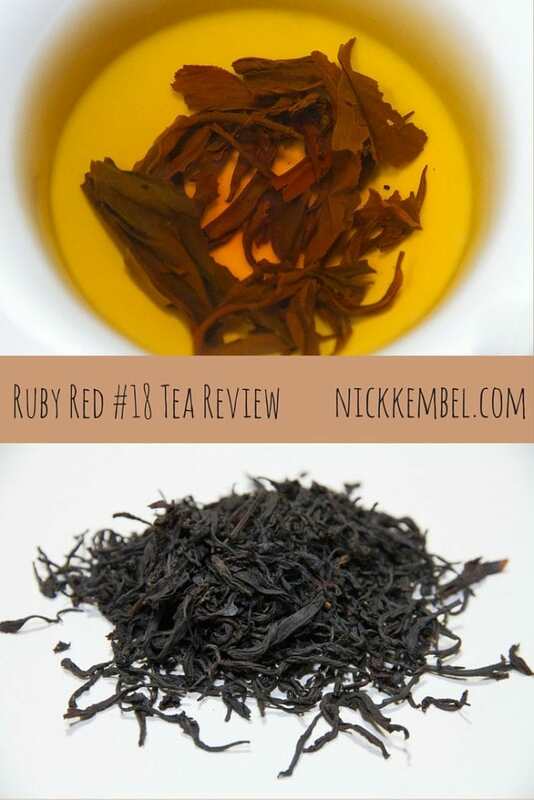 In some reviews, drinkers have indicated that while they usually drink reds for the caffeine kick and bold, robust, energetic buzz needed to start a day, Ruby Red is more of an afternoon tea that is most appropriately enjoyed at a slow, leisurely pace. Generally speaking, camellia sinensis (Chinese) red teas are mellower than their assamica (Indian & Ceylon) cousins, the latter of which tend to pack a bold, more astringent punch (and some say that’s why Western people adopted the custom of adding cream and sugar). 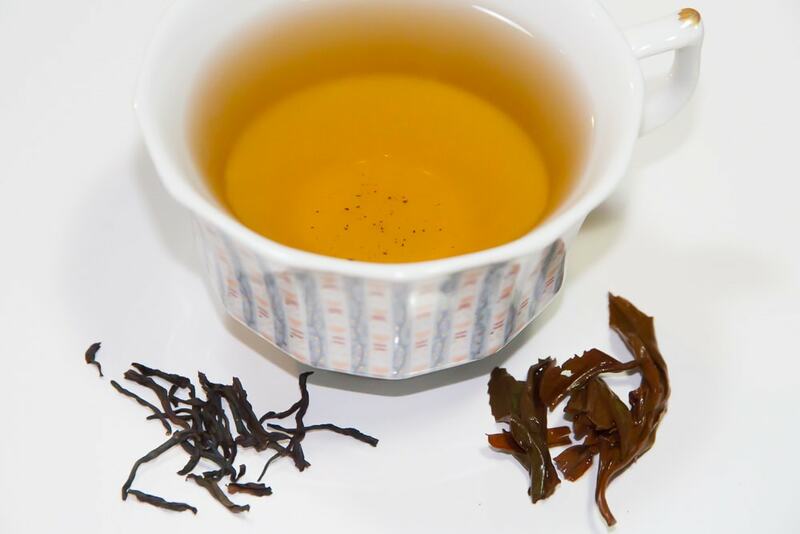 This tea is fascinating in that it combines assamica with the more mysterious formosensis taxon, with an end result that is soothing like a Chinese red, but with flavor characteristics that are totally unique. The fact that 50 years have gone into perfecting this cultivar truly shows. Overall, this tea is something special, and has jumped right into my personal top-three. I’ve only got enough for another session or two in my Global Tea Hut tin, so I’m going to need to get my hands on more of this stuff as soon as possible. I’ve noticed that some tea sellers are sold out of last year’s supply of Ruby Red #18, so it will be interesting and exciting to see what comes our way in the upcoming harvest season.